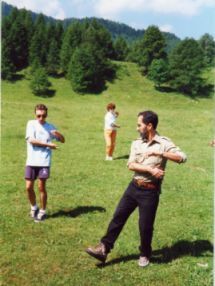 The Taijiquan Samsara Association was formed in Turin in 2002 by a group of practitioners of Taijiquan (Tai Chi Chuan) to promote and disseminate this ancient art, creating opportunities and looking for places to practice together, for the benefit of all those who have a connection with Tai Chi Chuan.Since its founding president of the Association is Giuseppe Bova, who was introduced to Tai Chi Chuan by A. Pepe student of Master Lee Ching Tang. 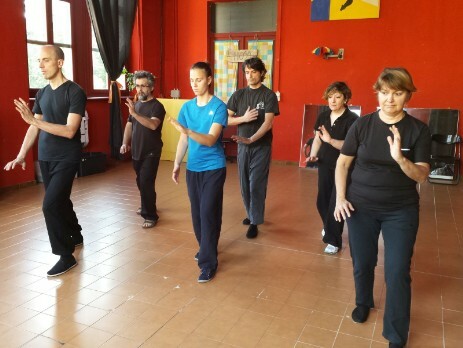 Since 2008 follows regular classes of Ven. Lama Dorje Dondrup, the Principal of the Pathgate Institute of Buddhist Studies and the Founder of the Palyul Nyingma Buddhist Association in the United Kingdom, Greece and Australia. Ven.Lama Dondrup Dorje's directive is to bring joyful living and liberation from suffering to anyone who has the karmic connection with him. Ven. Lama Dondrup Dorje's teaching on how to develop awareness and application of "Being of the World yet not being affected by the World". No shape, no shadow, by your entire being, develope your life. (Song of the true meaning). To listen is to give ear to what has no sound, to look is to fix your gaze on what has no form. In its boundless motion the sea brings impurity, sometimes one finds pearls. For the realization of this site, which summarizes the ten years activities, we thank all those who for various reasons, athletes, members, friends, co-operated. A special memory for Mariangela Vigna (1959-2011), wife, athlete, friend.